PRAYER PROMPT ••• As I read my Bible this morning, I was so inspired by David. Throughout the Bible, we are told to delight in the Lord, to rejoice, and worship Him. We are to celebrate our Lord and Savior with joy and gladness in our hearts! After all, He is our Savior! Why shouldn’t we celebrate Him? However, just as David was criticized by his wife, Michal, for being undistinguished, so should we expect those who don’t share our faith to criticize us. 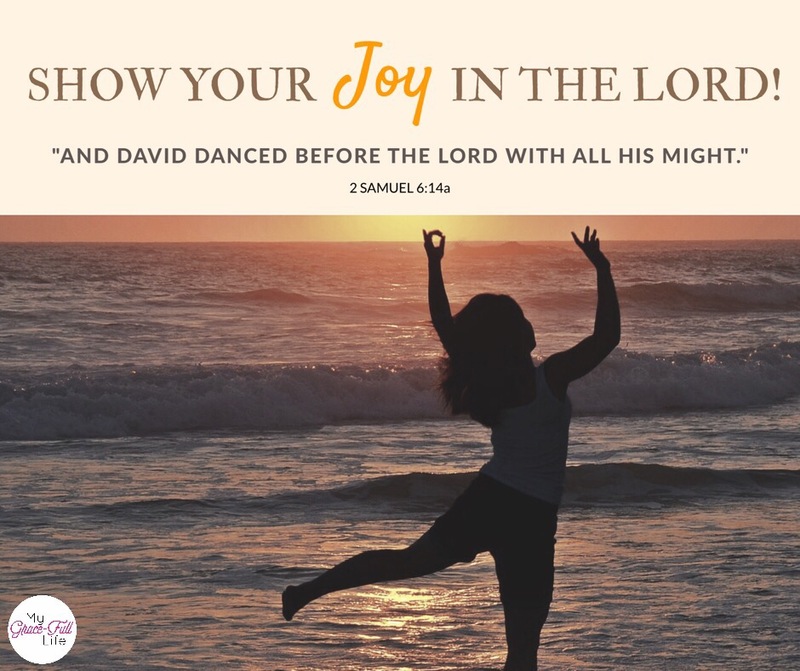 David defended himself to her in 2 Samuel 6:21-22, but he made no apologies for his exuberance! David loved the Lord and was not ashamed to express his love and gratitude for God in a joyful manner, even if others though he was foolish. Today, as you pray, ask God for the heart of David. A heart courageous enough to dance for Him. To worship Him with abandon and a heart of pure joy!